One of the biggest success stories of the Fund has been the sea turtle conservation project, where we worked together with the Government of SVG and were able to give the support necessary to enable a total ban on the killing of all sea turtles. This ban came into effect in January 2017. 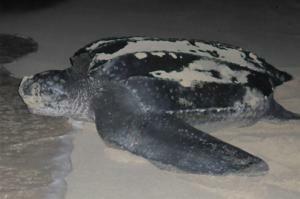 As a result of this ban all critically endangered hawksbill turtles, vulnerable leatherback turtles and endangered green turtles are now protected. 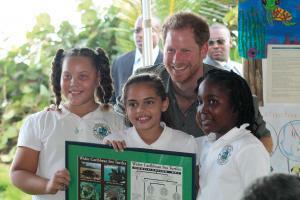 SVG is the first island in the Eastern Caribbean to institute a total ban. 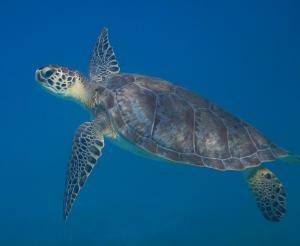 The ban on the killing of turtles has had a transformative effect on the marine environment. 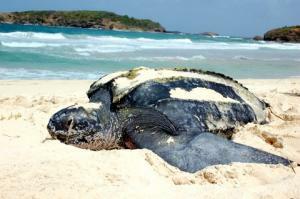 One can now regularly see turtles swimming in Admiralty Bay, Bequia, Mount Wynne Beach on the leeward side of St. Vincent and turtles are in even greater abundance on the conservation island of Mustique. 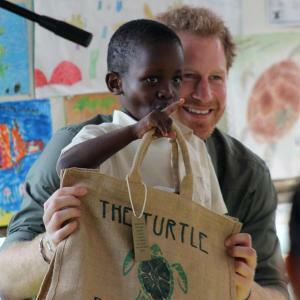 The turtle project got international media attention in November 2016 when His Royal Highness Prince Harry visited Colonarie, one of the protected turtle beaches, and publicly spoke endorsing the project. People will come from all over the world just to see your turtles!